Welcome to the fifth issue of Whispers - the newsletter of Dereila Nature Inn. We hope that this newsletter finds you well and you have had a wonderful month experiencing nature wherever you may be. As the days get shorter and the seasons start to change we know that there'll be just a little more time spent indoors in the coming months - time on the computer perhaps and we hope you'll spend some of that time exploring the features at our cyber nature centre. We are very excited about our new forum and discussion site - The Nature Hut. We invite you to check it out, become a member and join in the fun. It's a wonderful place to upload your own images of nature. To visit The nature Hut - click on the logo. 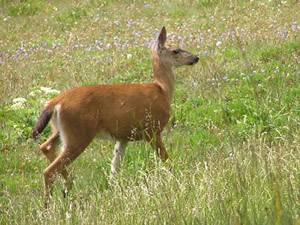 As the seasons start to change this is always an interesting time of the year for nature lovers. We'd love to know what makes autumn special in your corner of the world. Do you have a special image you'd like to share with others? Send us your notes, comments and images and we'll compile them into a section in a future issue of Whispers. You can easily visit each page by clicking on the image. Don't forget that we welcome your suggestions for future selections even if you don't have an image to supply for us. Send your ideas to us by e-mail. >> Jigsaw fun at the Inn - If you're finding you're having to spend more time indoors now that the fine summer weather is starting to change, drop by the Nature Inn and try your hand at a few jigsaws. They're really addictive, so be warned. 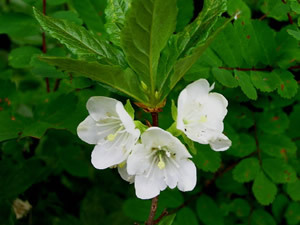 We have several pages that will pique your interest: wildflowers, down at the lagoon and mammals. Click on the images below to get started. Those of us in the Northern hemisphere who have been enjoying some long summer days have perhaps been able to travel around and enjoy some of the amazing places in the natural world. If you couldn't get too far we invite you to take a virtual trip with us. Click on the image and start exploring! So far we feature six national parks in Canada and the United States. Each destination features a brief description and a short automatic slideshow to give you an idea of the wonder of each destination. We'll be adding new places in the weeks to come. >> Provincial/State Birds Up Date - This page has become a huge undertaking! We were hoping to have it launched by now, but we're still looking for images. Hopefully the new link will be up and running soon! >> Past Issues - Just a reminder that previous issues of this newsletter are available online - simply click here. Each time a newsletter is issued, the previous one is posted on the Inn's website, so as you receive this newsletter we will be uploading August's issue, that way you can check back and see some of the previous Snippets in Nature and Wandering Images that have been featured. Dragonflies and damselflies are favourites of many naturalists. These amazing insects come in a wide variety of colours and we were fortunate in capturing this image of a Blue-eyed Darner, Aeschna multicolor, for this month's wandering image. 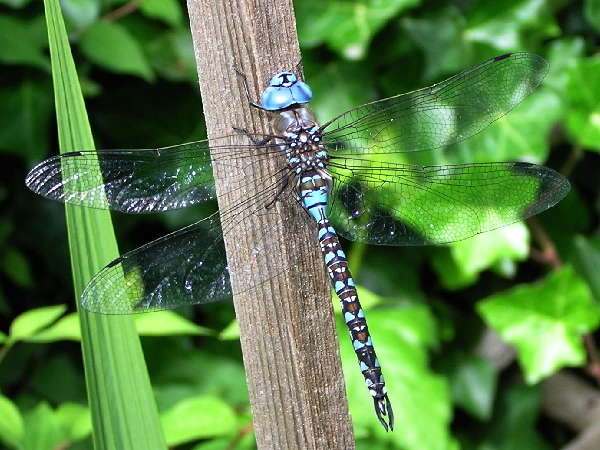 Darners are the largest group of dragonflies in North America. They are vicious hunters and when they leave their perch to go after a flying insect they are usually successful, capturing their prey in mid-air with their long lengs. 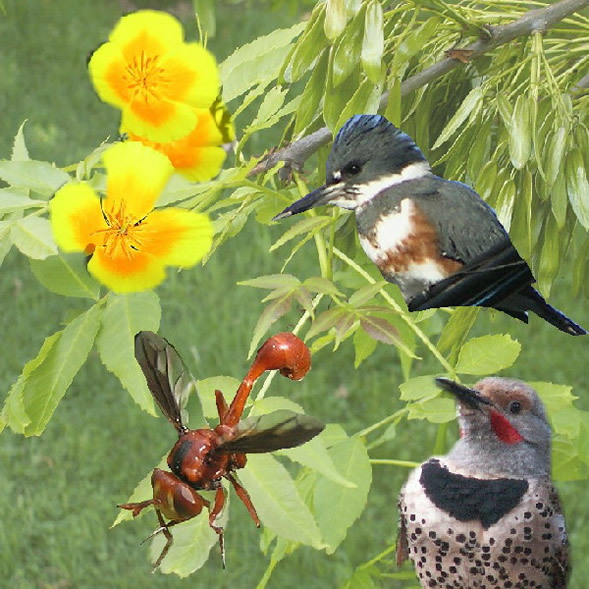 They hunt mosquitoes and small moths and sometimes bees and even other dragonflies! They can eat while in the air, unlike damselflies which prefer to land after capturing an insect. 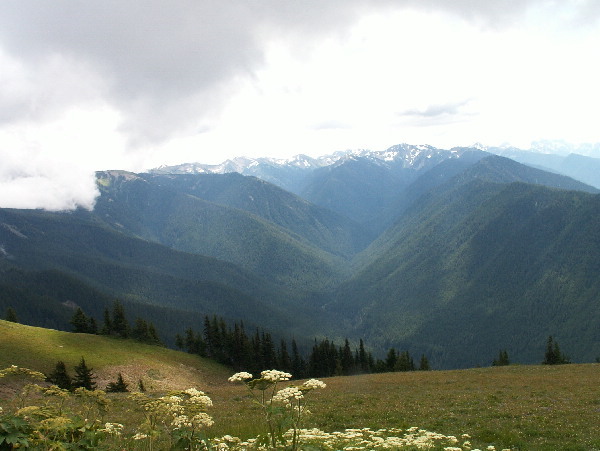 Our destination this month is Hurricane Ridge located in the northern part of Olympic National Park, Washington. 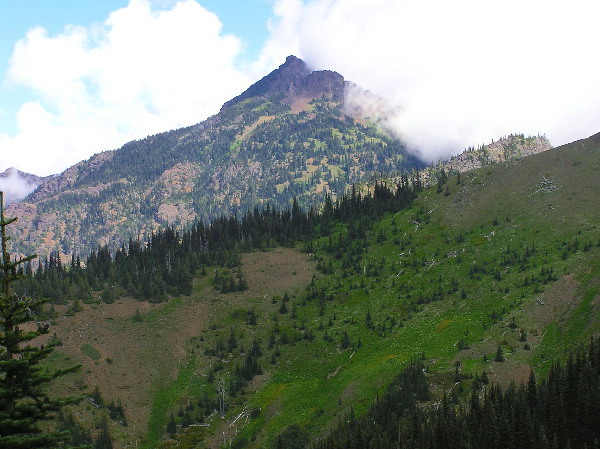 A snaking 17 mile (27 km) Hurricane Ridge Road takes travallers to an elevation of 5,240 feet . Numerous trails are accessible from here. For lovers of wildflowers, the best time to visit is July and early August when the abundance of these alpine gems is extraordinary. Topped off with stunning views of the Olympic Mountains, this place is a treat to visit. Two turtles crossing the road hit each other head on and were both knocked unconscious. The policeman who was summoned to investigate the accident tried to find a witness but only found a snail nearby. "Did you see the accident?" the officer asked. "Can you tell me what happened?" "Yes I saw it," replied the snail, "but it all happened so fast!" We'd love to have more clean jokes for our newsletter and also the Inn's website. Please send us an e-mail. Thanks again to Tony for this month's chuckle.